Star Ballroom | A Saturday Night Dance at Star Ballroom - Fun with a Great Group of Friends! A Saturday Night Dance at Star Ballroom - Fun with a Great Group of Friends! 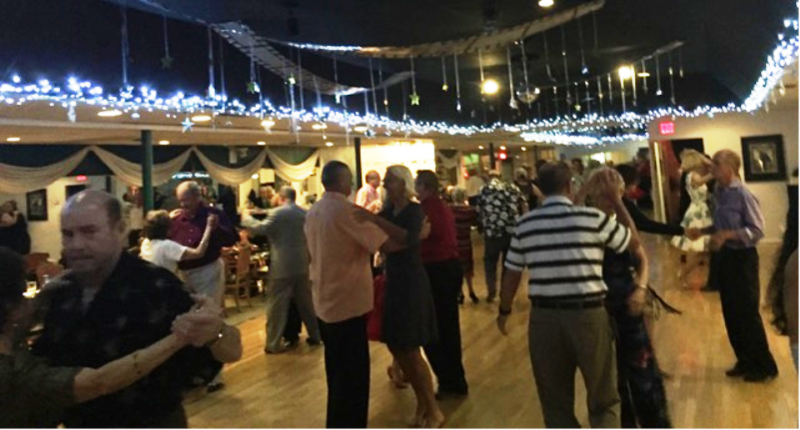 Come every Saturday Night – 8:00 pm – 10:30 pm for our Ballroom/ Latin Mix Dance Party! Open to the public! Have fun with a Great group of friends, and get healthy with the Best exercise! A scientific study published in the New England Journal of Medicine found that Ballroom/ Latin dancing is the best form of exercise to keep you healthy and stave off dementia! See more information about our Regular Public Dances – every Friday and Saturday Night! Take Group Classes or Private Lessons with our Exceptional Team of Instructors, and learn to dance! Then practice your skills at our Friday and Saturday Night Dance Parties! « Argentine Tango Milonga Party & Class – Every Friday Night at Star Ballroom! Fun! !